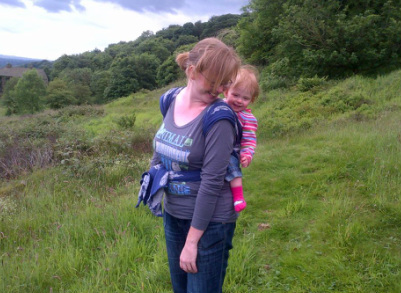 Carrying your child is an amazing way to make your life as a parent easier and more enjoyable! 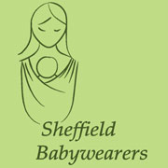 Sheffield Babywearers is a fun and friendly group of parents in the Sheffield area. 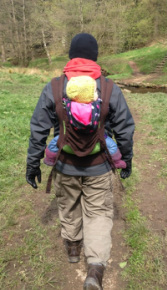 We love to carry our babies and toddlers in slings, carriers and wraps, and we also love to help other parents who want to carry their children. If you are a babywearer (or planning to be!) and want to meet like-minded people or need some help, then please join us. See our blog for what we get up to! 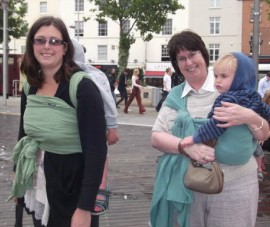 If you're new to babywearing or just interested, please see our pages on how to get started, types of sling and safe babywearing. Everyone is welcome at our Sheffield sling meets. They are an excuse for a cuppa and a cake while giving us the opportunity to skill-swap and try each others' slings. Just come along and say hello! Come over to Facebook and like our page to see more of what we're about. And to join in the chat with other babywearers, become a member of our busy group. We also have a mailing list for those who like to keep it simple. Our regular sling meets are at the Hallamshire House on Commonside, and at Megakidz play centre just off the Parkway. The Hallamshire sells coffee and cake as well as the usual pub drinks, and puts its back room (as well as the giant Connect4 set) at our disposal. Megakidz has plenty to entertain the older children, and we get discounted entry for the sling meet.